A Modern Classic. The Model 2N Brass represents the traditional Brass sound at its most versatile. 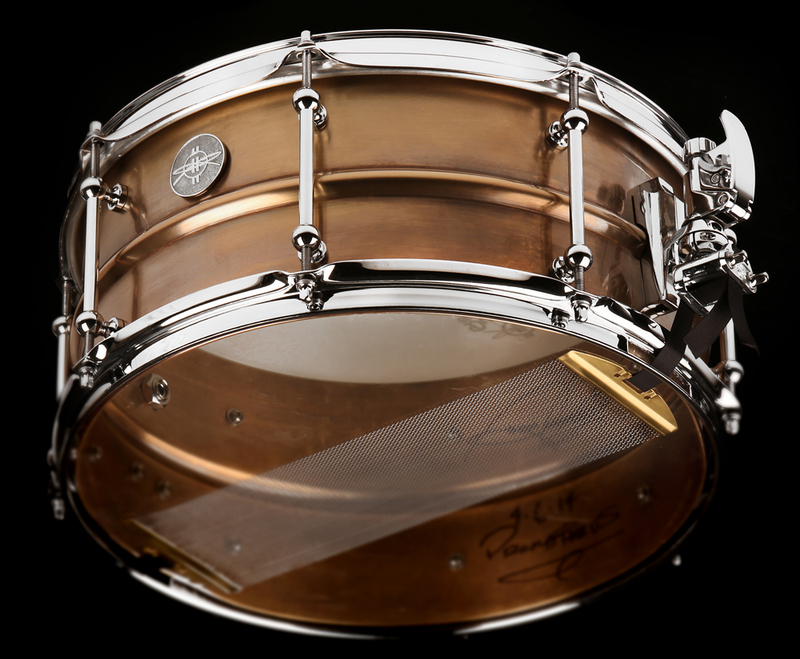 The Dunnett design snare beds mean a wide latitude for snare adjustment - from Stanton Moore 2nd line sloppy to Symphonic crisp - all without ever choking. The deep bead provides a perfect distortion that delicatly mutes the tone of the drum, passing some of that work to the heads. The Brass 2N works exceptionally well with Remo Ambassador and Ambassador X heads. This model is finished in Antique Brass - amild chemical process that ages the metal allowing it to patina with timeand burnish with handling.